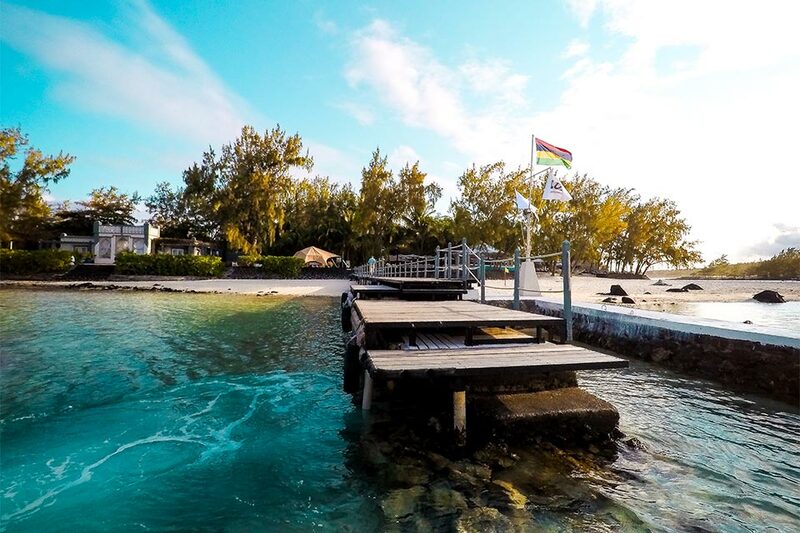 you can pretty much live out your ultimate castaway fantasy on Île des Deux Cocos. 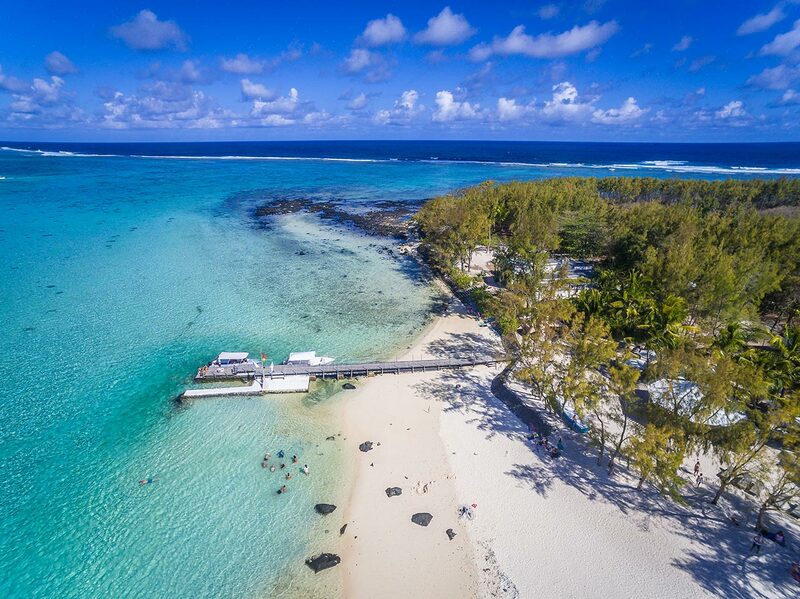 To the south of this island resort in Mauritius, the dramatic ocean is an ever-changing spectacle of waves pounding against the coral reef. 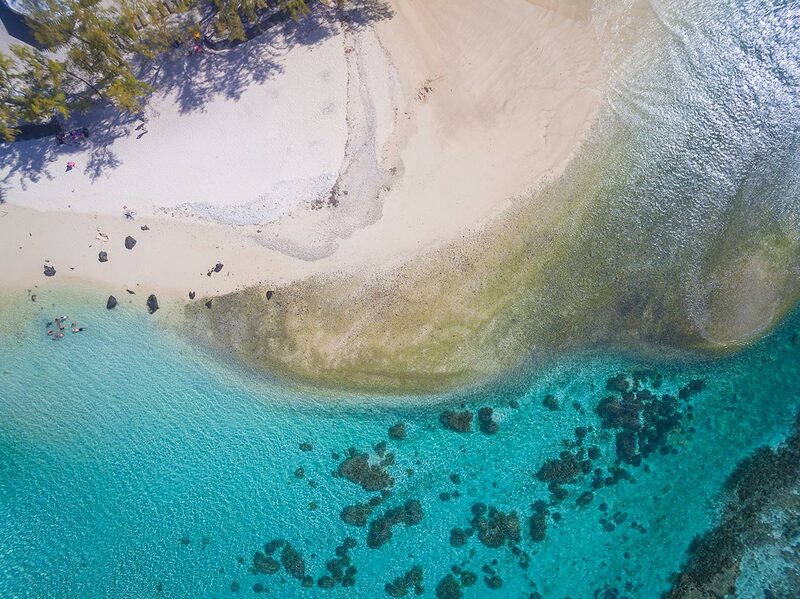 In contrast, to the north, tranquil, sandy white beaches border Blue Bay Marine Reserve, one of the most stunning spots for snorkelling in all of Mauritius. 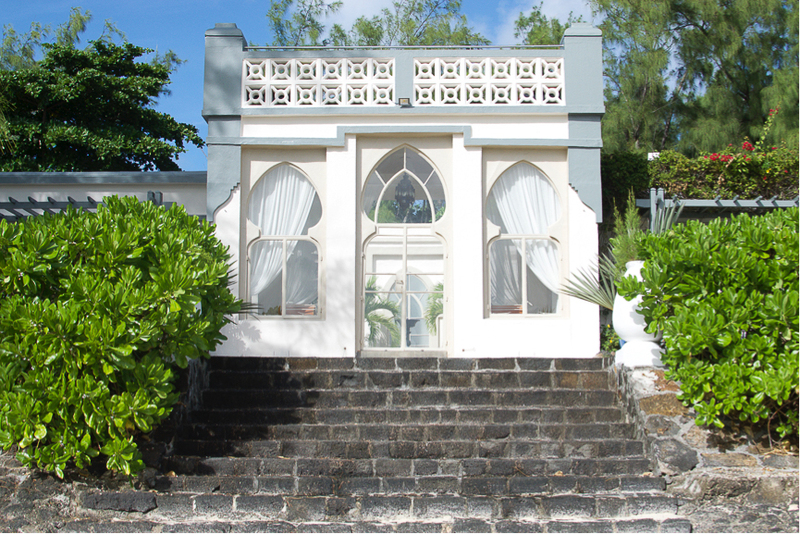 The Villa, built in the 1920s by the British Governor of Mauritius, Sir Hesketh Bell, has been completely restored to its original glory. Highlights include a shaded Moroccan-style courtyard, a fragrant garden laden with bougainvillea, swimming pool and of course, your very own private speedboat. 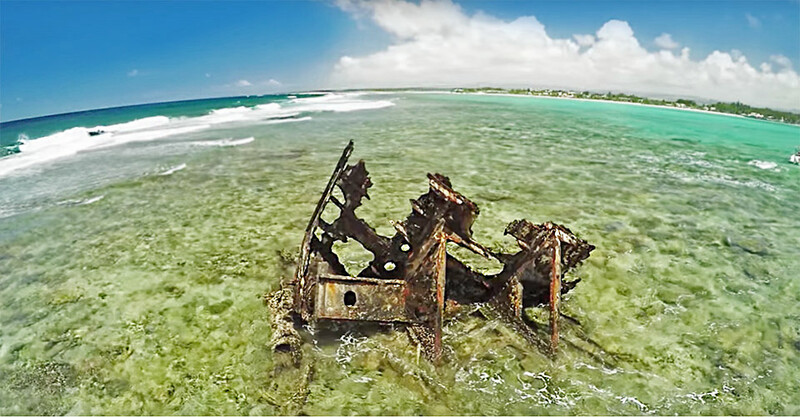 Here a gentle sea breeze caresses, the ocean shines blue, and the only traffic is the procession of fish between coral. 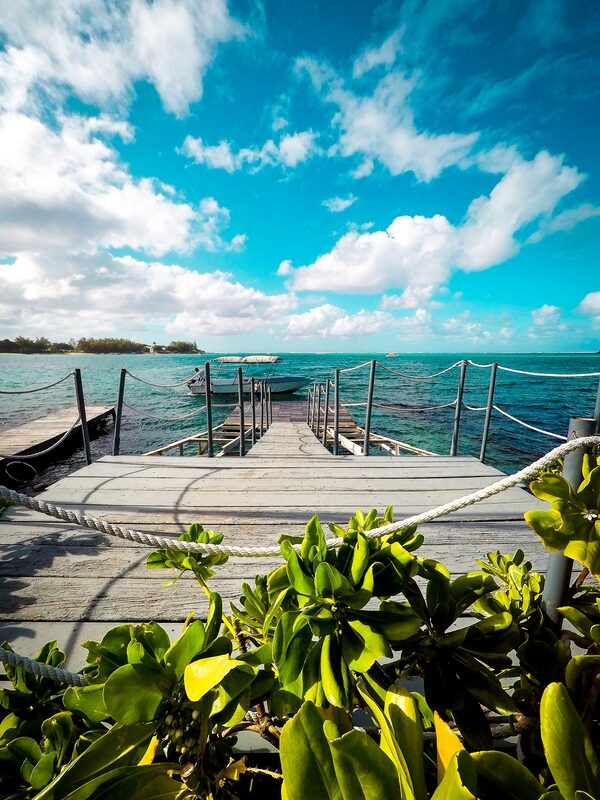 Welcome to a little piece of paradise afloat in the Indian Ocean. 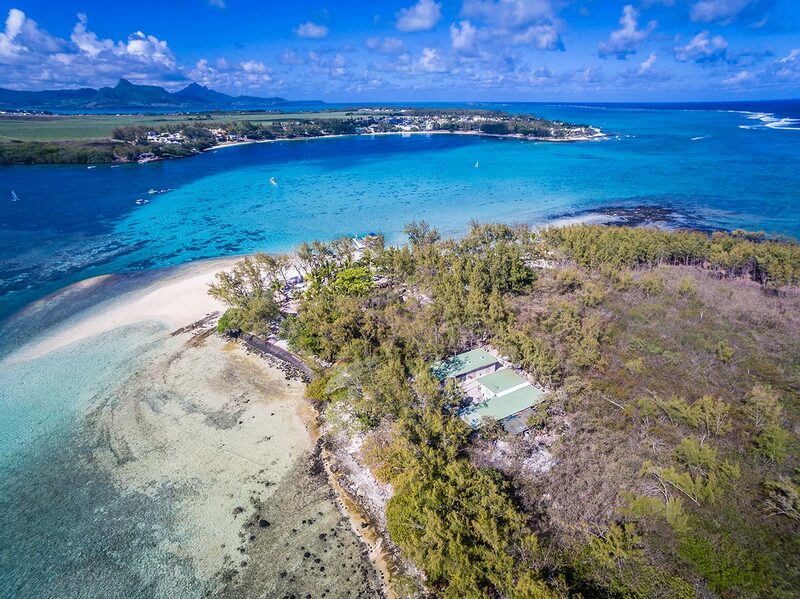 This private 252-square-metre villa on Île des Deux Cocos has been carefully restored to preserve its original character. 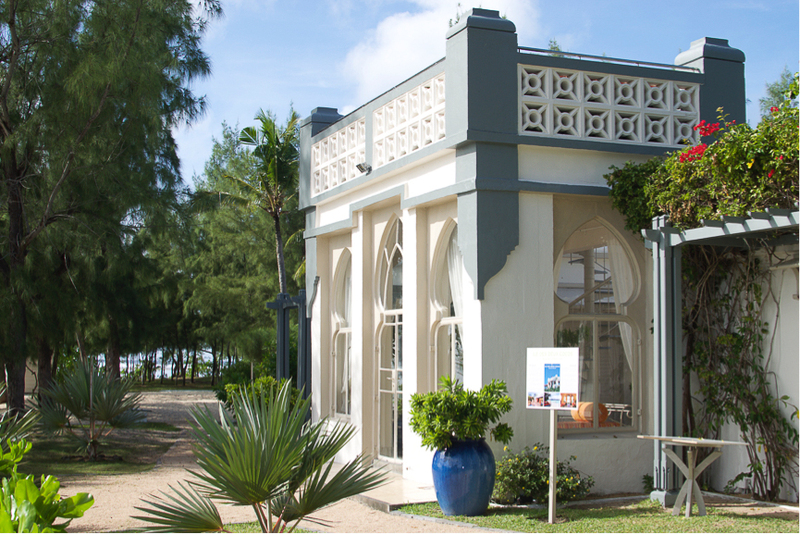 It blends the best of British and Moorish architecture with a stunning Mauritian interior. 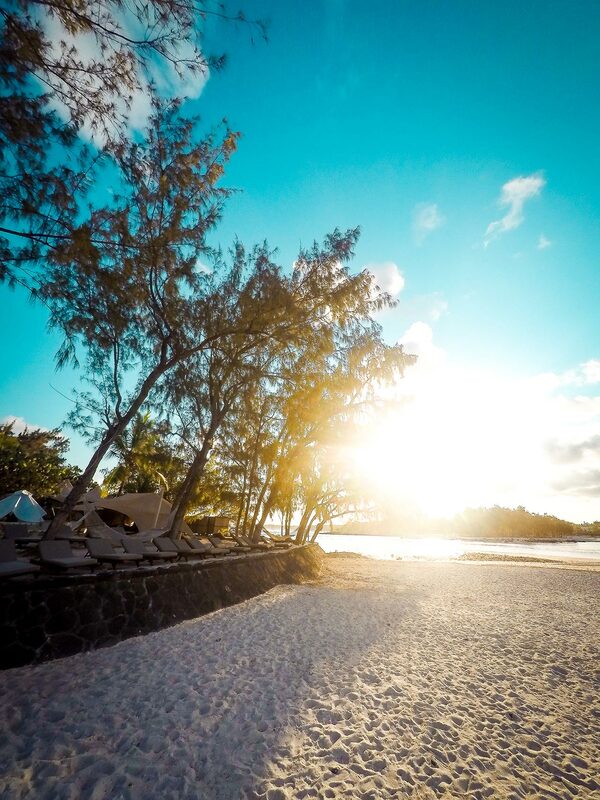 There is no other building similar in all of Mauritius. From the moment you enter the Moroccan-style courtyard with its shady palm trees and softly-splashing fountain, you'll need to take a deep breath. First you see a swimming pool framed by beautiful wooden decks. 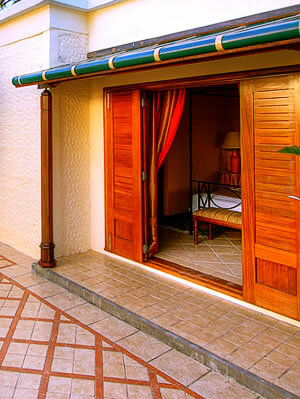 Then a villa with decadently furnished lounge and dining room, as well as two bedrooms with handsome sleigh beds. The master bedroom, complete with hot tub and en-suite bathroom, has a variety of scented products and natural healing oils to provide the perfect balm for your sun-kissed glow. You also have your own solarium, housekeeper, valet and chef. The Villa is perfect for couples or a family with two children and can be booked exclusively, or visited on day excursions. 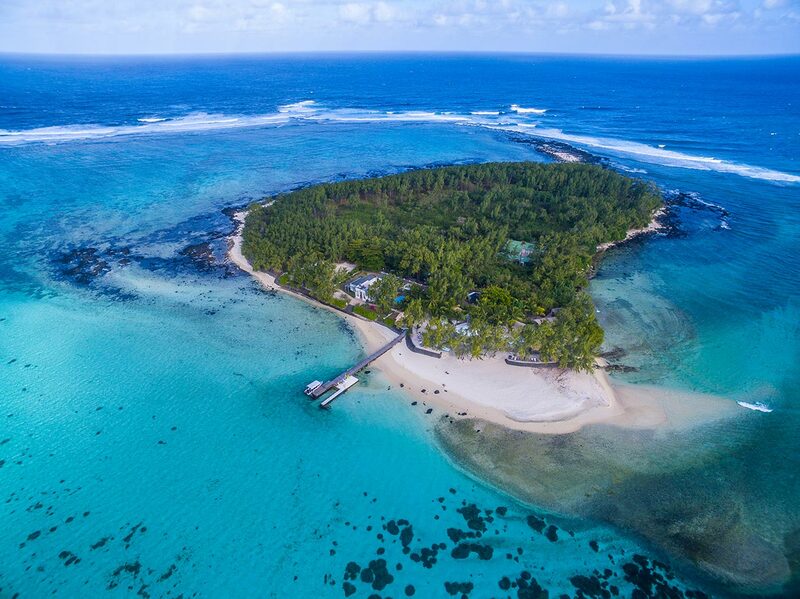 Even if you aren't staying on Île des Deux Cocos, you can savour its beauty on a day trip - a must do experience. 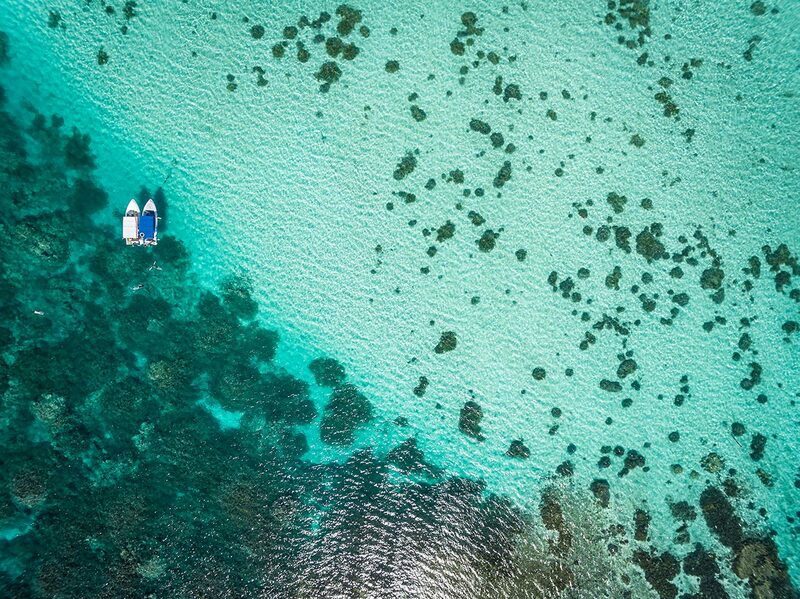 Scenic private transfers can be arranged from any LUX* resort culminating in a short speed boat or glass-bottom shuttle boat ride across the turquoise waters. 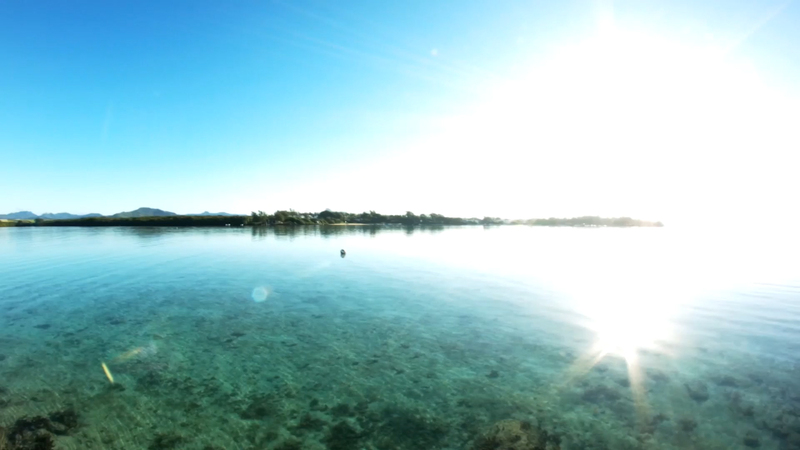 A world away, you'll be greeted with a refreshing cold towel and welcome drink, before exploring this tranquil haven. 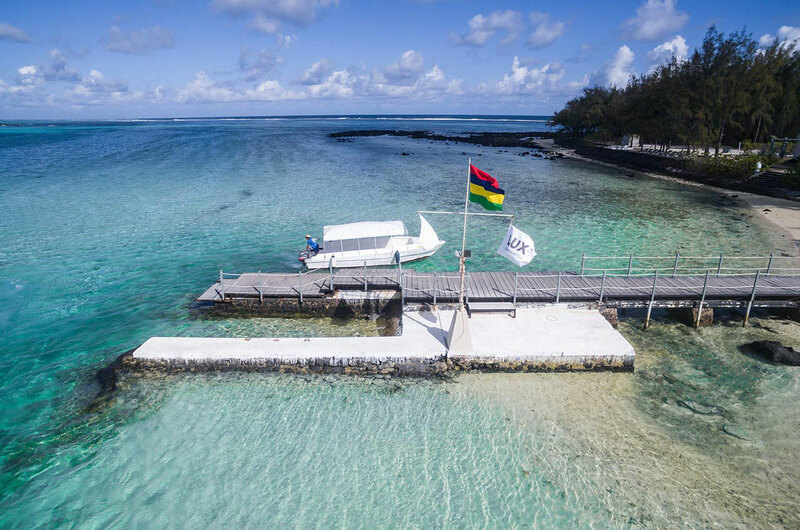 Swim in crystal clear warm waters, snorkel amongst the corals and shoals of bright tropical fish flitting around the offshore marine park or, if you prefer, visit by glass-bottom boat. 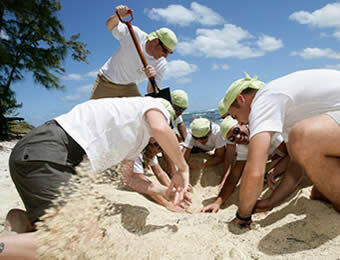 On shore there is also plenty to do. 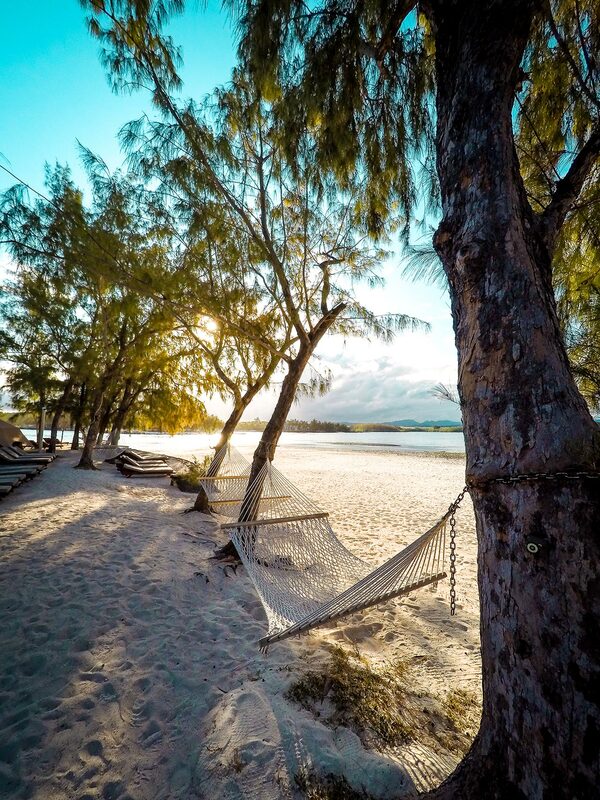 Laze on the beach or stroll along the small paths through native woodland. Lunch is served either at tables in the open overlooking the ocean, or under the shade of a white marquee where you can sink into deep settees. 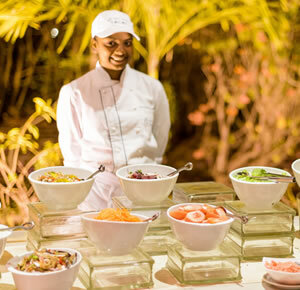 Dine on delicious salads topped off with fresh herbs from the garden and grilled specialties from the buffet, while wine, beer and soft drinks flow freely. You know you're on holiday when an ice cream cart trundles past laden with freshly made tropical delights. 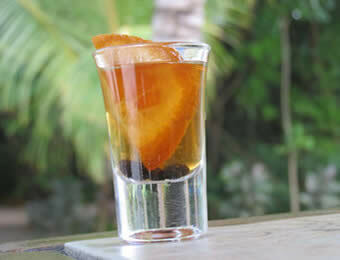 The afternoon is yours and culminates in a tasting of homemade flavoured rum to conclude another perfect day. 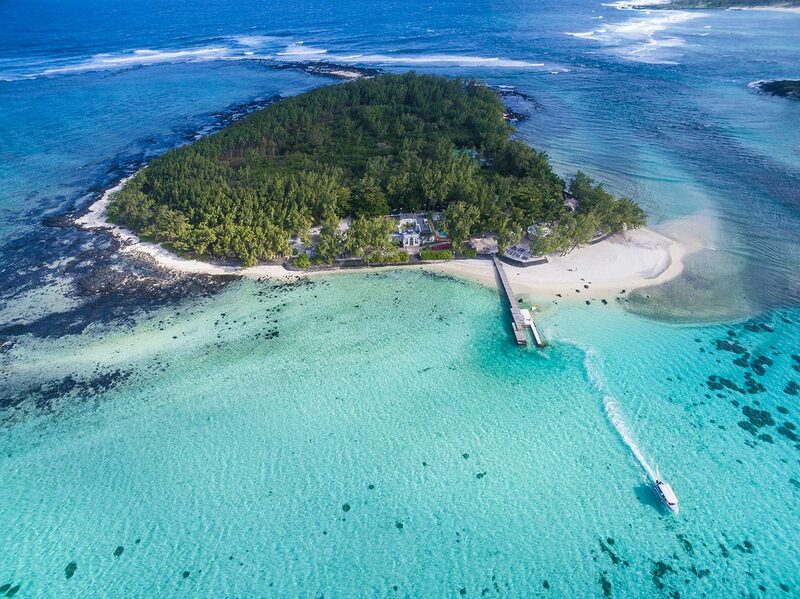 Please do not hesitate to email us at iddc@iledesdeuxcocos.com to book your day trip on our private island. 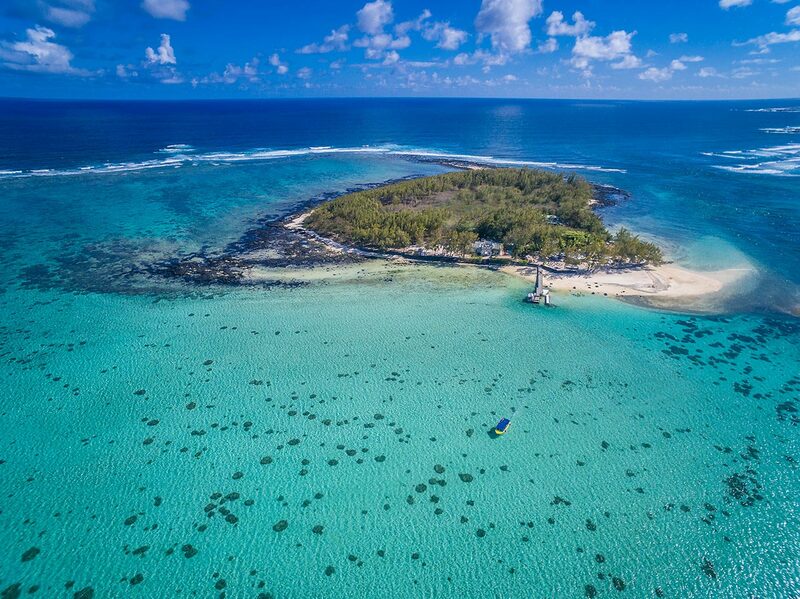 Île des Deux Cocos will leave a lasting impression. 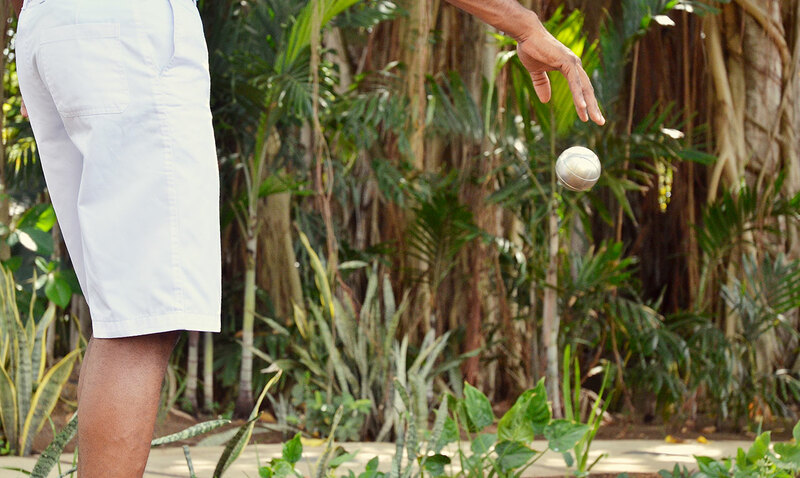 Totally secluded and with outstanding personal service, the range of activities alone will make your team feel like royalty. 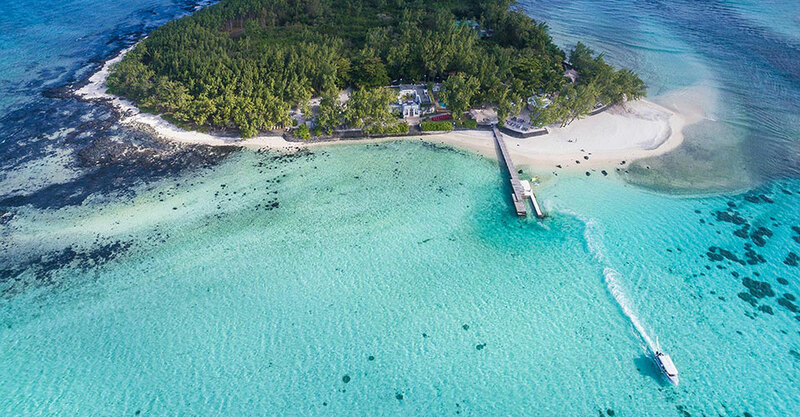 The experience begins from the moment you jet into the airport and are transferred to the island for a delicious breakfast, while your bags are whisked away to your LUX* hotel of choice. 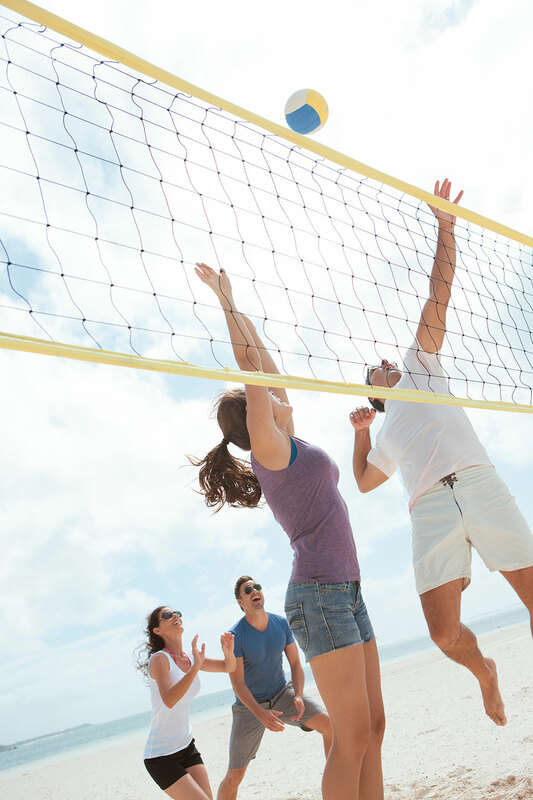 Team-building activities include beach volleyball competitions, underwater treasure hunts or circuits around the island, followed by time off to swim, snorkel, or to simply relax under the coconut palms on the beach. The Villa is lit up like a sparkling gem as night falls and torches illuminate the pathways. 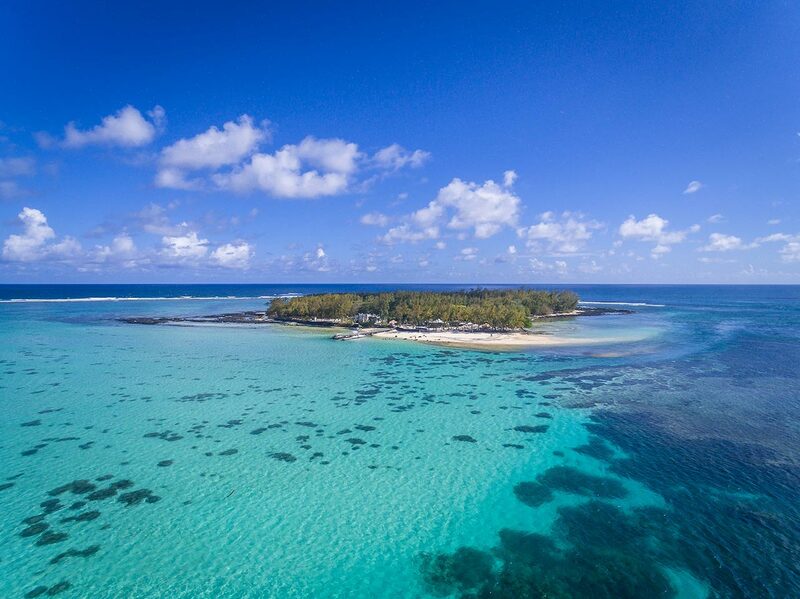 Île des Deux Cocos is renowned for its themed evenings from Arabian nights, with a Moroccan riad with tents by the water's edge, to a night at the circus. The evening finale ends with a bang as spectacular fireworks light up the night sky. 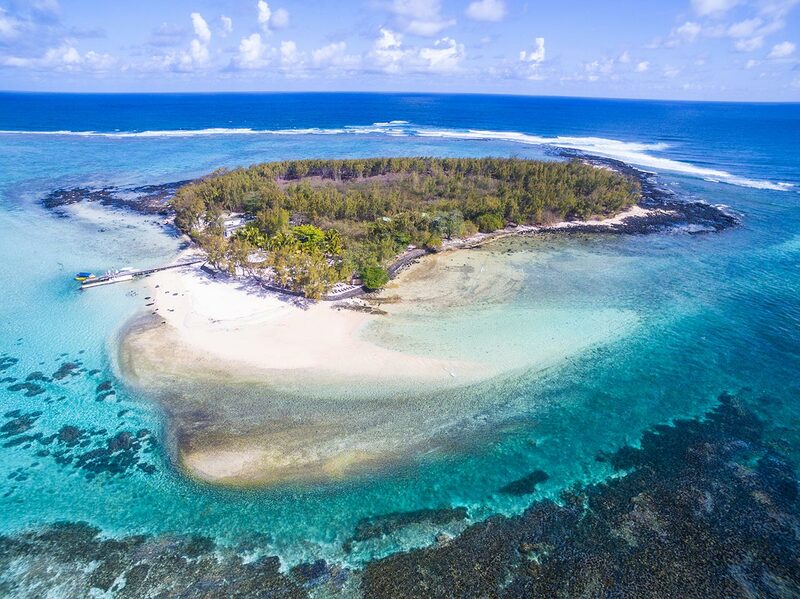 Île des Deux Cocos is one performance not to be missed. 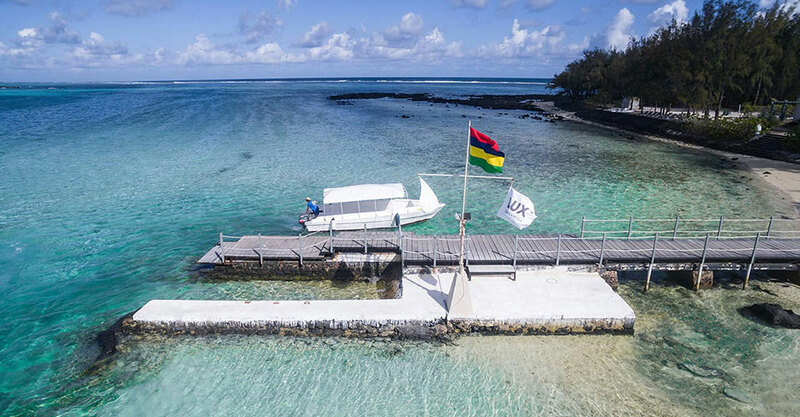 Ile Des Deux Cocos has long been the best keep secret in Mauritius. 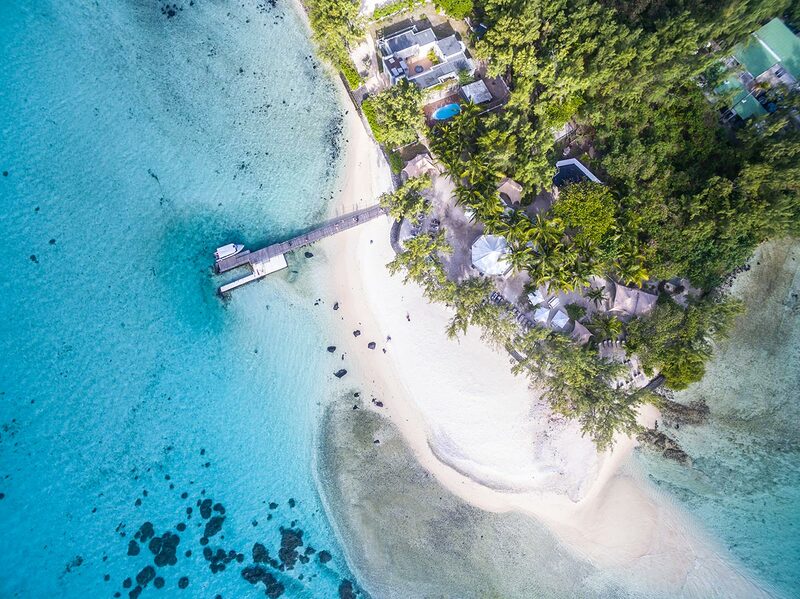 This totally secluded private island boasts a one-of-a-kind Moroccan inspired villa, a picture-perfect beach and outstanding personal service for a wedding experience unique in all the world. 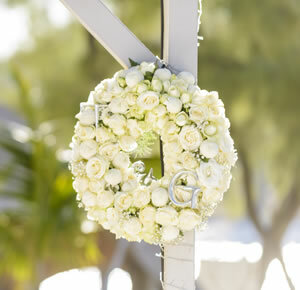 Whilst you can customise your most important day exactly to your wishes, ceremonies are usually conducted on the beach. As the sun sets deep orange over the horizon, imagine approaching down an aisle strewn with fuchsia and bougainvillea petals to a bamboo arch with the Blue Bay Marine Park as an breathtaking backdrop. 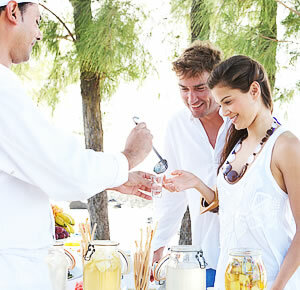 As you toast your life together surrounded by those closest to you, a laid-back bare-foot reception will pamper your guests with chilled champagne, homemade rum cocktails and ice-cold Mauritian beers whilst they savour oysters and shrimp from an impromptu bar. 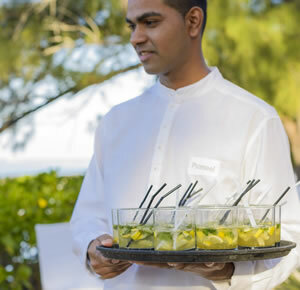 Meanwhile, on an outdoor grill shaded by swaying palm trees, chef will whip up just caught lobster, giant prawns and marinated chicken accompanying by Creole sauces for a true island flavour. 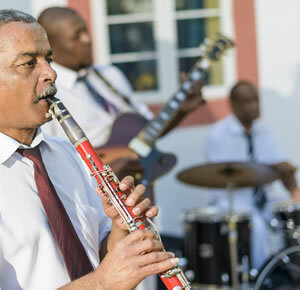 As day turns to night, a traditional Mauritian troupe will ensure your friends and family continue the celebrations long into the night. 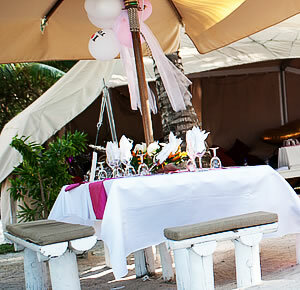 Simply put, Ile Des Deux Cocos affords an opportunity to host a wedding with little or no comparison. Quite simply, there is nothing else like it. Exploration dives for qualified divers (licensed) in the marine park (depth 5-10 meters) - Rs. 1,000 per guest. Snorkelling and glass bottom boats to the wreck outside the Blue Bay zone which is approxiamtely about 10-15 minute boat ride. The one hour trip includes swimming and snorkelling. 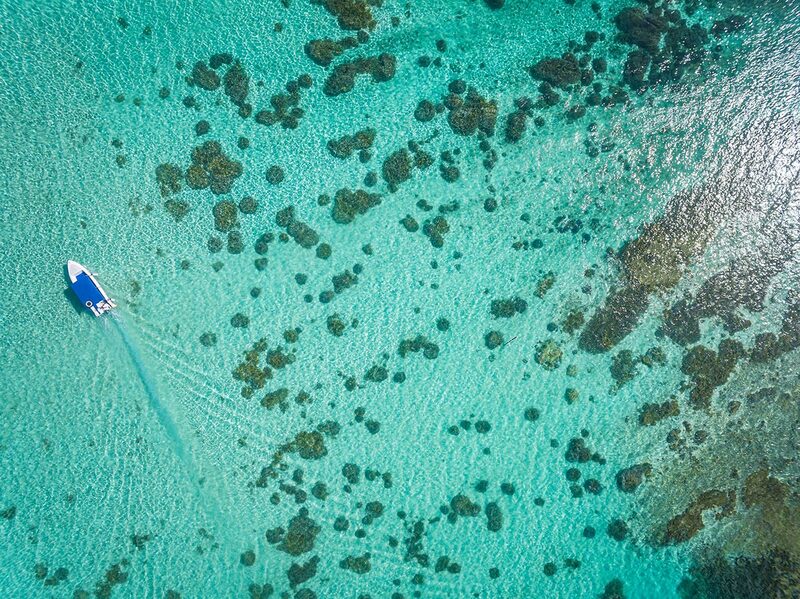 A speed boat trip can be customised to 1 or 2 hours depending on guest requirements. 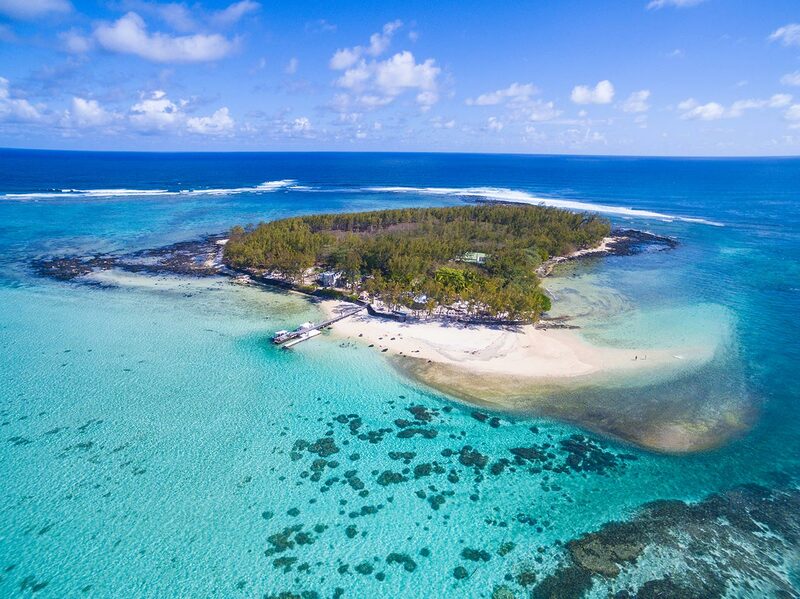 Visit the famous islands of Iles aux Phares, île de la Passe and île aux Aigrettes. 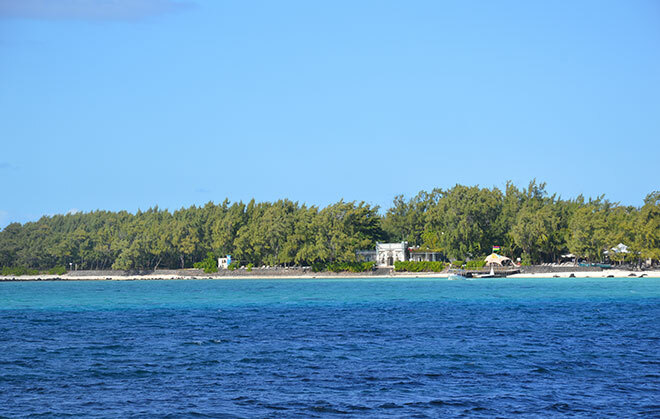 The first two islands for sightseeing and pictures and watch îles aux Aigrettes from the boat itself. 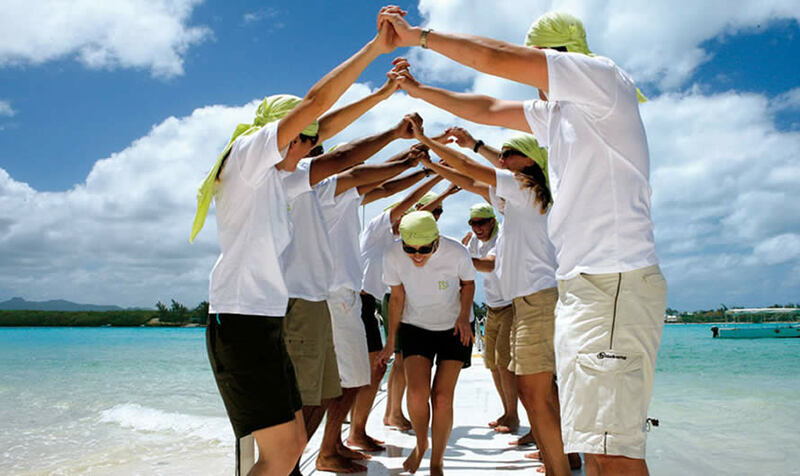 Carried out in the lagoon between blue lagoon hotels and the Iles Aux Aigrettes zone. Performed 2- 3 hours daily. One boat fitted with two fishing rods with soft drinks and mineral water available. Small game fishing will commence from 10.30am to 2.30pm, depending on request and availability.